Are You Coming to VKLIVE New York? Are you coming to VKLIVE NY? 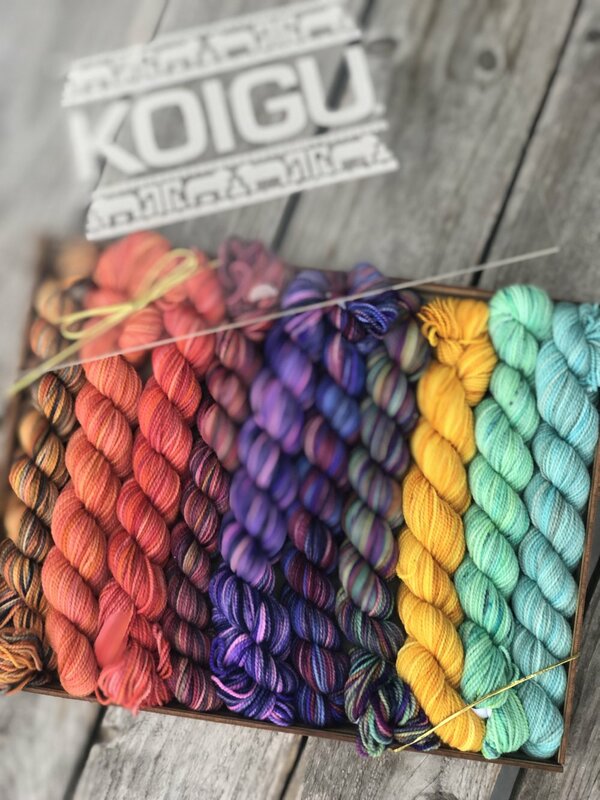 Come find Taiu and Kersti in booth #215 for all things Koigu. This year will be bringing a taste of everything. In the booth will have KPPPM, KPM, Kersti, Chelsea, Othello, Emmi, Koigu Magazines and kits. While we definitely won’t have every colour (that would be impossible), we’ve worked to build a beautiful array of colours so that there is something for everyone. Find KOIGU Pencil Boxes in the booth, along with a small number of specialty wooden pencil boxes made by Katrinkles. We will have both the colours. Queen of Hearts and Mad Hatters. Another exciting reason to stop by the booth, is that we will be doing the official launch of Koigu Magazine 10 and Vill 2! See the publications in person as well as all the designs! Catch the Koigu Fashion show on the special events stage from 2:15 - 2:45PM. See new designs, along with some classic Maie Landra designs. Have you been following the #KoiguHistory, series on Instagram and Facebook? If you have more questions be sure to stop by the booth and hear all about Koigu’s history from Taiu and I! Newer PostVogue Knitting Live Recap!